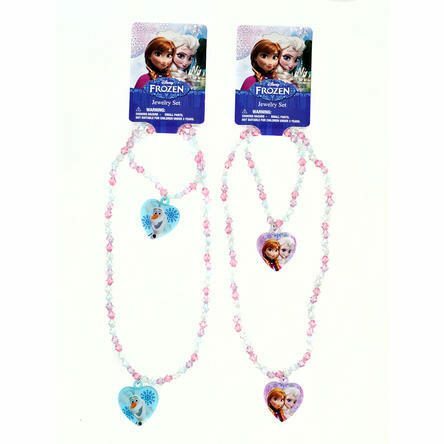 2 Pack Disney Frozen Charm Bracelet + Necklace Set Just $4.99! Down From $18.99! You are here: Home / Great Deals / 2 Pack Disney Frozen Charm Bracelet + Necklace Set Just $4.99! Down From $18.99! Sears has this 2 Pack Disney Frozen Charm Bracelet + Necklace Set on sale for $4.99 (Reg. $14.99)! Plus you can FREE shipping on orders over $35!